If ever there was a real wedding to inspire you to incorporate the beauty of an old oak tree into your special day - this is it. 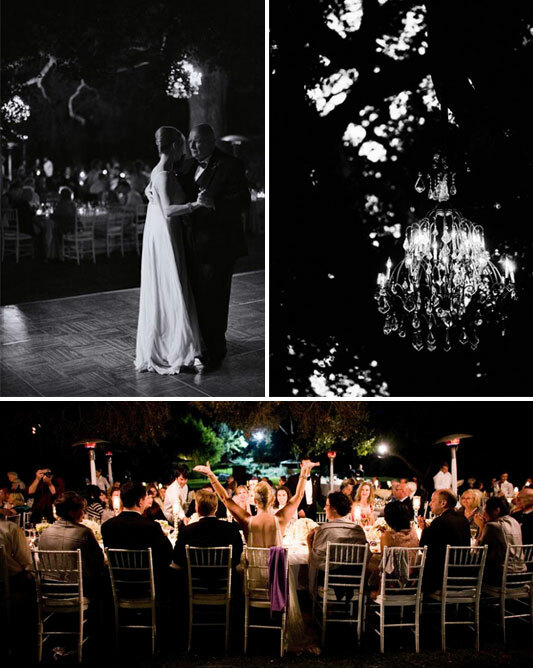 This stunning outdoor reception was shot back in November 2008 by the very talented Leigh Miller. A beautiful oak tree was was the setting, its old branches providing an incredible canopy over guests as they ate. Outdoor heaters provided the warmth and light came from the most amazing giant chandeliers suspended in the trees branches.